You probably haven't thought much about an SSL certificate and may not know what one does. It is important, however, as a website owner, that you start to think about whether you need to add one to your church website and the following article will explain why. The internet is changing almost by the day. It is important, as website owners, to either stay on top of these changes yourself or to have it managed by a company that is staying current with the latest developments. One of these developments has been the way people view your website. Four or five years ago, people were most likely viewing your website on a laptop or some sort of full sized screen. Now they are much more likely to be viewing it on a phone or tablet. If your website has not kept pace with this change and does not render properly on mobile devices, it becomes less relevant and less useful in today's world. Another important development that is happening on the internet is the increasing focus on website security. As you are aware, identity theft is unfortunately a common problem and web developers are combating this problem on a number of fronts. 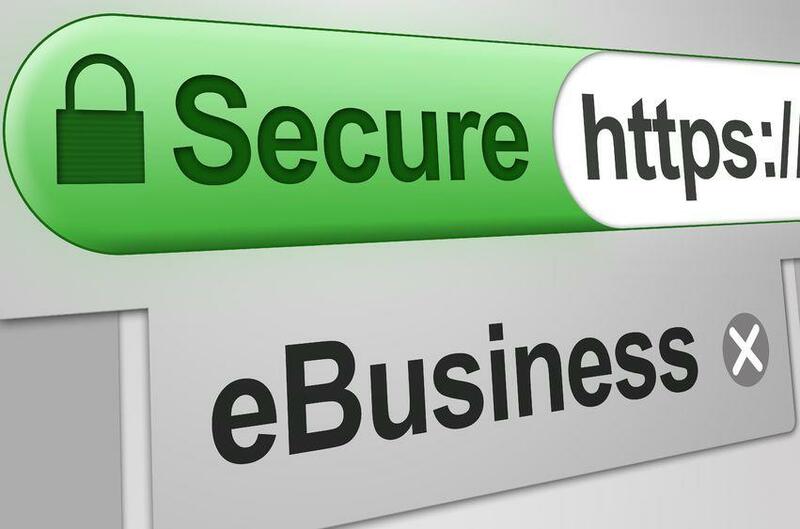 One of the most effective ways to accomplish increased security is by having an SSL certificate on your website. It encrypts (puts in code form) any exchange of information between your website and your server. This exchange typically takes place when a form is filled out or login information is entered to access a protected area on the website. It verifies that the website is owned by the correct owner. In August 2014, Google issued a blog post that said it would be using SSL as a factor in ranking website pages. While the page rank boost is small, the fact that Google is considering SSL in it's ranking factors says that it considers the security SSL brings to be important. This gives your visitors a sense that your website is safe and that is always a good thing. Many payment gateways are now requiring that your website have an SSL certificate in order to connect with them through a form. Paypal used to allow websites without SSL certificates to have forms for church donations or event registration payments connecting to them. They no longer allow this practice because they are also becoming more conscious of security. Stripe has had this requirement for years. There are ways to receive online payments without an SSL certificate, but having it gives you more options for taking payments. So How do I add an SSL Certificate to my Website? So you have read the above article and want to add an SSL certificate to your church website. How do you go about doing this? If you have DL Church Websites manage your website, it is easy. All you need to do is give us a call or send us an email and we take care of the rest. The SSL certificate will add an additional $9 per month to your monthly fee. We make no money on this, it just covers the cost. This is the price of a good high quality certificate. If you maintain your own website, you will have to contact your hosting company and follow their procedure to buy and install the certificate to your website. Once the certificate is installed, you will need to make sure all your page and media links pass through the certificate by changing all links on the site from http to https. It will let your website visitors know that you take security seriously. It will help your Google ranking. It keeps all form or login information secure.